My Book Affair: Worlds Apart? 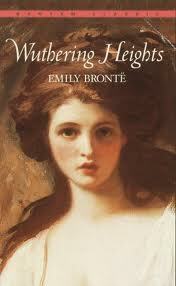 - A Comparative Study of Jane Austen's 'Emma' and Emily Bronte's 'Wuthering Heights'. Worlds Apart? 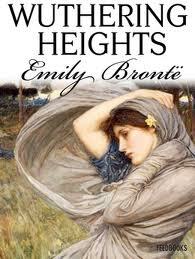 - A Comparative Study of Jane Austen's 'Emma' and Emily Bronte's 'Wuthering Heights'. History tells us that Emily Bronte was not a fan of Jane Austen, yet the world she created in Wuthering Heights was not so very different from the world of Austen's Emma. Part of the wonder and attraction of Wuthering Heights is the unmistakable wildness of the landscape. The rhythm of the language and the speed of the narrative seem to echo the non-relenting gusts of the north wind as it rages through the moors. The world Emily Bronte creates is synonymous with the characters who live there, both isolated and insular. As such, it has many similarities with Hartfield, home of the Woodhouse family, in Jane Austen'sEmma. Although Hartfield is not 'removed from the stir of society', as Wuthering Heights is, it is still some sixteen miles outside London and is quite separate from the 'large populous village' of Highbury, just a lawn and a few shrubs beyond it. The class structure at the time of Austen's novel does not allow the Woodhouses to mix socially with the local people, but forms a rigid barrier between them. This induced isolation compares easily to the geographical distance between Wuthering Heights and the rest of the world. Therefore, on one level, the worlds of Cathy Earnshaw and Emma Woodhouse are quite similar. Both girls live within small communities, meeting the same people, day in and day out. Emma has a wider choice of acquaintance, but, due to her father's 'habits of gentle selfishness', she rarely encounters people outside 'his own circle'. Cathy, on the other hand, has no such luxury. Her select number of companions dwindle as illness and death steal them from her. It is possible, then, that both girls experience the same sense of isolation and seclusion: one due to geography and the other due to social class. The insular world's of Wuthering Heights and Hartfiled allows the women little scope to canvass lovers. As a result, the love relationships in both novels tend to be incestuous in nature, with few exceptions. Focusing here on Cathy and Emma, we see how both suffer from 'the boy next door syndrome' and marry the nearest neighbouring bachelor who comes to call. However, our heroines have a particularly close relationship with the men they love. Taking Cathy first, we can see how her relationship with Heathcliff is much more incestuous that her marriage to Edgar. As children they were very close, sharing the same house and crying the same tears at the death of the man who had been a father to them both. Nelly remembers that they shared a room, and says, 'I ran to the children's room: their door was ajar... The little souls were comforting each other with better thoughts than I could have hit on.' With Hindley away at college, they each clung to the other as the only family they had left in the world. Mr. Earnshaw named Heathcliff after a son who had died and in that way Heathcliff replaced Cathy's dead sibling and became a foster one. It is because of the close, familial relationship between Cathy and Heathclff early on in the novel, that readers are sometimes bemused by the almost incestuous nature of their adult relationship. Emma's romance with the owner of Donwell Abbey is not so unusual until we consider that he is, in fact, her brother-in-law. Indeed, Emma's sister Isabella had once been 'a favourite of Mr Knightley herself. (having) been first with him for many years past'. But, as we know, Knightley falls for Emma and becomes intimate with the family at Hartfield, visiting in all kinds of weather and taking advantage of an open-invitation just to be close to Emma. His ability to scold and chide her inappropriate behaviour shows us their relationship early on in the text is more like that of big-brother-little sister, than of lovers. Indeed, the eighteen years age difference between them can only have emphasised this point. It is clear that Emma once saw Knightley as a brother, for when she decides to dance with Mr Knightley at the Crown Ball, she says, 'you know we are really not so much brother and sister as to make it at all improper'. 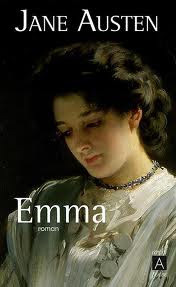 However, it is not really so surprising that both Cathy and Emma pitch their hearts so close to home, considering that Wuthering Heights and Emma were published in the eighteenth century when marriage between close relatives, such as first cousins, was seem as perfectly normal practice. It displays yet another similarity between the two fictional worlds of these novels. The parallels between Emma and Cathy do not stop there. Consider how both girls are viewed as real beauties, with Cathy described as 'the queen of the countryside, and Emma as having rare beauty in 'face and figure'. Both, in their mid-twenties, are the picture of health and with their enchanting looks no doubt had many admirers. In the novels, we meet some of them. 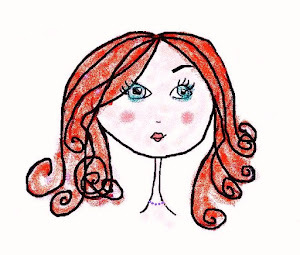 However, the ability of the girls to attract men does not necessarily correspond with their ability to understand men. Indeed, these two heroines show a distinct inability to understand the workings of the male mind. For example, when Cathy learns of Heathcliff's return, she immediately assumes Edgar will accept him as a friend. She forgets everything that has passed between the two men and crushes their hands together in a forced hand shake. Cathy has no understanding of their feeling at this moment. Edgar hates Heathcliff because he has possession of his wife's heart, while Heatcliff returns the feeling because it is Edgar who possesses his beloved's hand in marriage. The depth of hatred they feel for each other knows no bounds, yet Cathy expects and insists that the rivals become friends. Emma Woodhouse is just as naive about how men think. She confidently takes it upon herself to find a wife for Mr Elton and delightedly decides upon Harriet as the perfect choice. Mr Knightley tries to warn her against meddling in Elton's affairs, saying that that the clergyman would never marry the illegitimate daughter of nobody knows who. But Emma is decided. 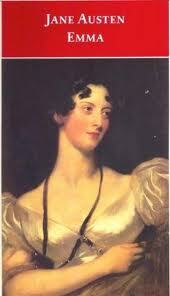 She boasts to Knightley, 'I know that such a girl as Harriet is exactly what every man delights in'. But Emma could not be more wrong. Elton tells her directly, 'Everybody has their level; but as for myself, I am not, I think, quite so much at a loss'. Both Cathy and Emma misjudge relationships between the sexes. In Wuthering Heights, Cathy gets completely carried away with sentiment when Heathcliff returns from his time away and it is left to Edgar to warn her to curb her excitement and not to behave in an 'absurd' way in front of the servants. Cathy seems to have no idea of what constitutes proper behaviour between men and women. As a girl, she lavishes Heathcliff with 'girlish caresses', and does not think to alter her behaviour towards him as she gets older. Emma too has difficulty judging her relationships with men. When Mr Elton pounces on her in the carriage, after the dinner at the Randalls, she can only wonder at his presumption that she feels anything but friendship for him. However, later, after some contemplation, she realises that 'especially of late, (she had) thought his manners to herself unnecessarily gallant ... she had never ... suspected it to mean anything but grateful respect'. Yet, Emma had been warned by Mr John Knightley to regulate her behaviour towards Mr Elton, saying, 'I think your manners to him encouraging'. was trying to encourage his attentions to Harriet, he was forming an attachment with herself. Conversely, Emma believes that Frank Churchill is in love with her, when he is actually in love with Jane Fairfax She even believes he means to propose to her soon. The trip to Box Hill sees Emma flirting unashamedly with young Churchill. She allows his deceptive displays of flattery, seeing it as a game almost, but when his secret engagement to Jane is revealed, she is mortified, knowing how her behaviour must have hurt Jane, and how her behaviour towards Frank was more intimate than propriety usually allowed. Emma saw love where there was none, and was blind to it when it was offered. Like Cathy, Emma seems to have a distinct ability to misjudge relationships between the sexes and, in turn, be misjudged herself. Despite their ineptitude at reading people, both girls manage to find a certain degree of happiness in the novels. How Cathy and Emma find love differs greatly and their stories are told in very different ways. Yet, regardless of how Emily Bronte viewed the writings of Jane Austen, there can be no denying that these two contrasting authors had much more in common than one might at first suppose.